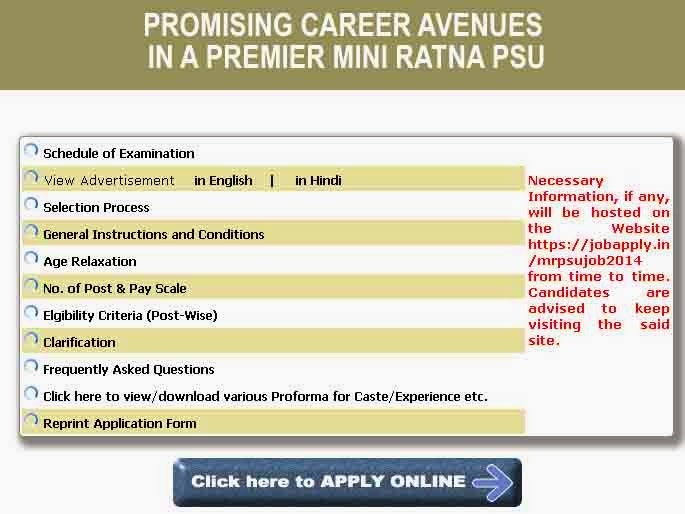 Promising career avenues in a premier mini ratna PSu . Selection procedure : selection of the eligible candidates will be based on through written examination. Written examination will be conducted all Indian level. all question of the written examination will be objective type. After that those candidates who will be declare qualified in the written examination they will b call for personal interview test. Test Timings 1000 hrs to 1200 hrs.